We were asked to perform Orchestra of Samples in Colombia’s coastal city of Cartagena in early January 2017 and knowing a number of very talented Colombians, the South American country was somewhere we’d always wanted to visit and play. So we decided to head out a week or so earlier than was needed for the event and spend New Year in the captial city of Bogotá, hooking up with old friends, meeting many new ones and recording a couple of improvised sessions for the project! We decided to stay in the happening area of Chapinero Alto, just a short walk away from composer, multi-instrumentalist and total rock dude Alejandro Escallón, who we recorded on guitar, piano, accordian and various percussion drums. 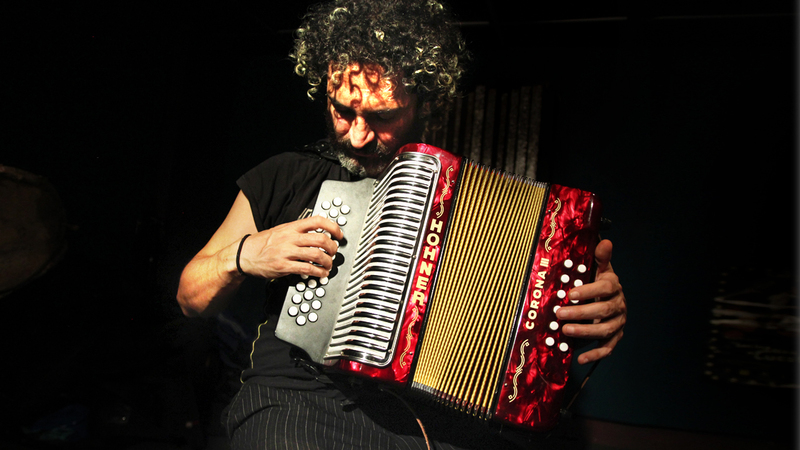 We’d first met Alejandro in France when he was touring Europe with his band Jaranatambó, who are currently one of the most representative acts on the Colombian music scene you’ll find! Formed in 2001 they’ve released four albums and in 2011 were winners of a World Music Award at the International Songwriting Contest in the USA with their song Ooee. 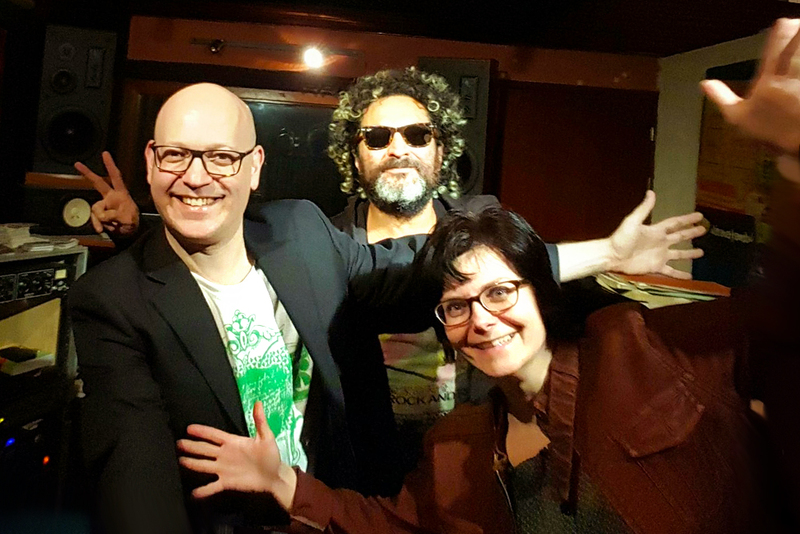 The band’s new album Republica Independiente absolutely affirms their electro Latino sound, fusing salsa, merengue, Colombian and Brazilian folk with electronic elements and beats! It’s a complete fiesta of rhythms! 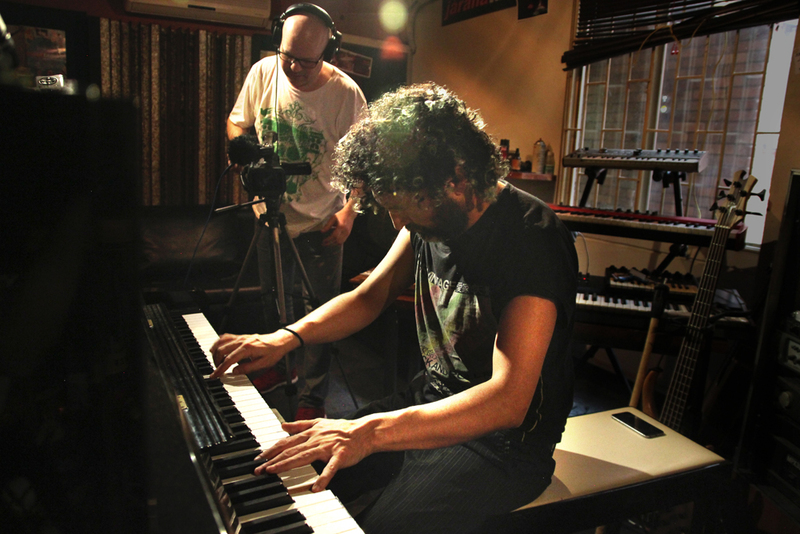 Alejandro studied classical piano at the University of Los Andes and in recent years has also composed music for Fox’s Discovery Channel, for both documentaries and series. He’s collaborated with Colombian folk artists Los Gaiteros de San Jacinto and Magín Díaz, with singer and actress Yolanda Rayo, Stuart Fergie of Australian band OKA and with American producer Khalil Hyppolite (Kool and the Gang, Wyclef Jean, Lauren Hill). 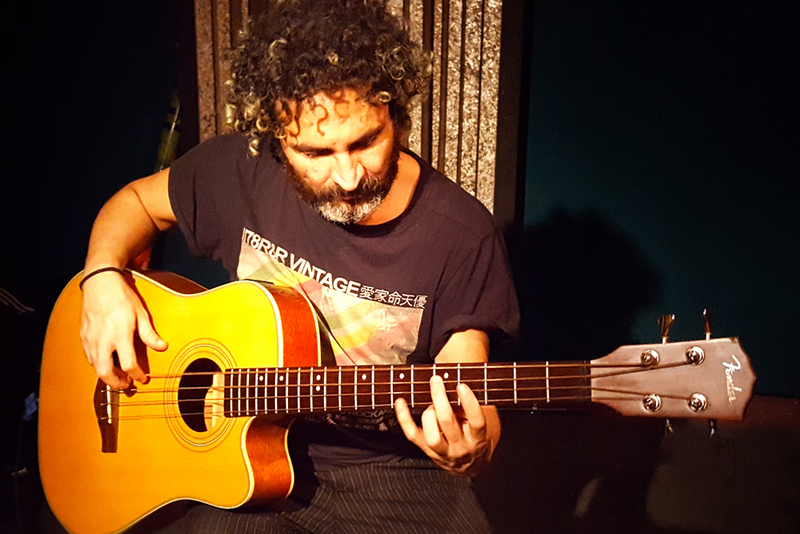 We’d also been introduced to the very talented multi-instrumentalist and composer Daniel Correa via the School of Audio Engineering in Bogotá and an old friend now living in the capital city. 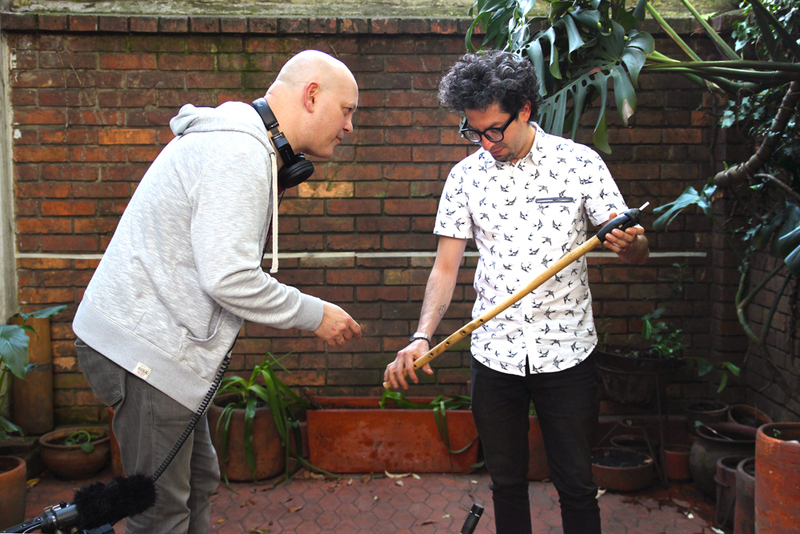 For our recording session, we filmed Daniel playing traditional Colombian instruments such the gaita flute, the small cuatro acoustic guitar and various percussion including an alegre drum, maracas, indigenous shakers and a guacharaca – a kind of percussive scraper. Daniel had begun playing the drums aged 12 and in his teens had decided to make a career in music, gaining degrees at both the Colombian School of Jazz and also the University of Los Andes where he specialised in piano, jazz drumming and composition. 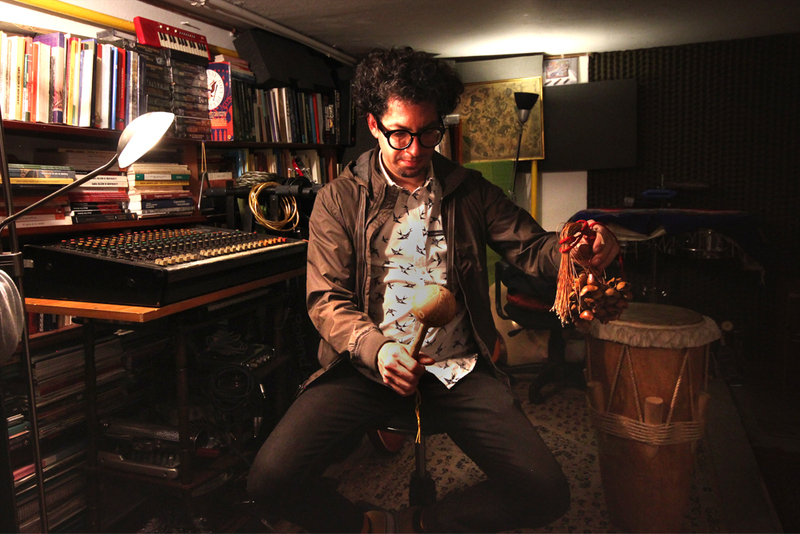 He later moved to New York to study sound engineering at the Brooklyn Conservatory of Music and the Institute of Audio Research and while there joined – as the drummer – jazz-fusion quartet Samurindó, who mixed Colombian traditional music with jazz, funk and Caribbean rhythms. Keen to experiment and not be seen as only a drummer, Daniel has since released five solo albums, with Reptiliana – his latest – being released in 2016. The album blends a lot of musical styles with reggae keyboards, funky guitars and his own gravelly and visceral voice. For Spanish readers, there’s more info here. As well as in Colombia, Daniel’s performed in Mexico, Peru and the USA. With massive thanks to Jim Cook, Pol Moreno and the SAE Institute of Bogotá, Colombia.